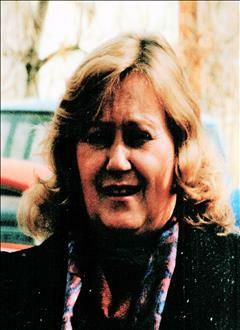 Ileen Jablonski, 71, Pocatello, passed away, March 28, 2019. Ileen was born November 5th, 1947 in Pocatello, Idaho to Austin and Elaine Neeley. She was raised in Pocatello and attended schools in Pocatello. She had one brother: Neil Neeley; and 2 sons: Eric Rathjen and Kurt Rathjen. She is survived by: her son, Eric; her long time companion, Todd Mummie; and her cat, Katie Perry. She was proceeded in death by: her parents; brother; and son, Kurt. She was a joy to be around! Her laughter was one of a kind! She will be missed by all who knew her, but not forgotten. Graveside service will be held Friday, April 5th at 2 pm in the Mountain View Cemetery, Section 44 West.